Mustache, Hat And Glassses Nail Decals Only $1.69 + FREE Shipping! You are here: Home / Great Deals / Amazon Deals / Mustache, Hat And Glassses Nail Decals Only $1.69 + FREE Shipping! Oh my goodness – these nail decals are SO CUTE! 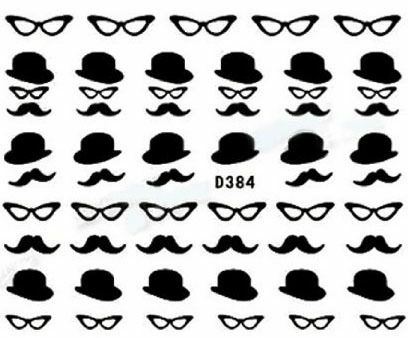 Grab this set of Mustache, Hat and Glasses Nail Decals for just $1.69 with FREE shipping! I’m just getting into using nail decals with my manicures, and these are SO stinking cute! I love mustache items, so I’m totally grabbing these! They would make a great gift for someone as well! Compatible with both natural and artificial nails.